Melbourne Plumber with 24/7 Emergency Service. David Fitt Plumbing commenced business in 1986. The business has specialised in all facets of plumbing, gas fitting and maintenance. Our work over the years has included new homes, renovations, Real Estate, Aged Care, Body Corporate, Commercial and Industrial works and maintenance over this period. We offer SAME DAY SERVICE and use the latest technology and equipment to clear blockages safely and cost-effectively. For no obligation quote, call David on 0408 350 565 . We pride ourselves on a prompt and reliable service and that you can speak directly with the plumber. We have a diverse clientele, many of whom are recommended by existing clients. All works are completed to a high standard and comply with current regulations. Wanting a plumber that is punctual, meticulous, courteous and who does an excellent job? Then David Fitt Plumbing is who you need to call. It was my lucky day when I grabbed this name out of the local paper after a supposedly reliable plumber did not turn up as promised. I was most impressed when David arrived and even more so by the time the drains had been laboriously cleaned out. Neighbours commented that they had never seen such a neatly presented tradesman who obviously took a pride in his appearance and his vehicle also was spotless. The quality of work completed was superb. There was great attention to detail and all was checked and a little more done, just to make sure. This was champagne service indeed, not that you would have known from the invoice. A very moderate cost for the labour involved. I have absolutely no hesitation in recommending David Fitt Plumbing, and am delighted that I have such an excellent tradesman to call upon in the future. With over 30 years experience, we've seen it all - and have the knowledge and experience to handle your plumbing problem. For a free consultation, call David now on 0408 350 565 . Blocked drains can be smelly and inconvenient. The Blockage Specialist offers blocked drain clearing services using either an electric eel (also known as a plumbers snake) or a high pressure water jetter. For reoccurring blockages we can use a CCTV drain camera to locate the cause of the problem. Whether you have a blocked toilet, septic system, sink, basin, shower waste or drain grate, or you have a stormwater blockage, we can quickly unblock it. Early detection of a blocked drain can drastically reduce the work involved for a plumber to unblock and clear it, saving you money. Signs to look and listen for include a gurgling sound (often accompanied by a smelly drain grate) coming from the floor waste or toilet when water is in use. Another sign of a blocked drain is the water level in the toilet rising above or falling below normal levels, and/or the drain outside the house overflowing, especially after the washing machine has been in use. The floor waste overflowing during a shower may also indicate a blockage. If you do suspect that you have a partially blocked drain it is best to call us to clear it as soon as possible. Household plumbing repair is one of our main services. For more urgent problems we are on standby 24 hours a day, 7 days a week. For great household plumbing repair, accurate identification is required to determine the best solution. The problem will reoccur if this is not completed properly. It is then essential that the correct equipment and tools must be used. 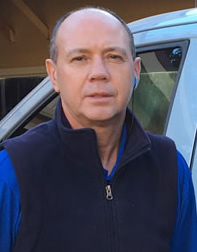 As a fully qualified emergency plumber, David will be able to assess your problem and will have at his disposal a vehicle fully stocked with the equipment and tools that are needed. Anything from replacing a kitchen sink to adding a gas bayonet point for the BBQ to cleaning the gutters. The list doesn't end there - all household plumbing repairs can be carried out. Whether it is a toilet cistern that is leaking, a cracked basin, a toilet that won't flush, or even a complete hot and cold water renewal, David can help. Water leaks and dripping taps are easy to ignore, but over months will waste Melbourne’s precious water and possibly cause water damage. Don't put off your household plumbing repairs any longer. Rapid plumbing repair is often required when a blocked drain or burst pipe occurs. As inconvenient as it is, hot water systems tend to split most often in the early hours of the morning when water pressure is at its highest. An emergency plumber is always on standby for those situations, no matter what the time. Customers can call us for emergency work 24 hours a day, seven days a week, for all urgent household plumbing repair. Are you planning to renovate your kitchen? Or need a dishwasher, insinkerator, gas cook top or mixer tap to be installed? Give David Fitt Plumbing a call, and we will have it all done for you. We can dismantle your old kitchen fixtures and carry out preliminary work required for a new kitchen installation. When your dream kitchen is delivered David Fitt Plumbing can fix the plumbing and connect all the appliances in compliance with all safety standards, so you don’t have to worry. Are you tired of your old bathroom and planning to give it a makeover? We can help you! If you are not renovating your bathroom, but want to change your old vanity or even install a new toilet, give us a call, and we will have your bathroom looking like new. Copyright © 2016 - 2019 David Fitt Plumbing.